The TX600 offers a 3-band tone control with semi-parametric mids and an integrated compressor. The TX600 has an output of 600 watts and weighs just 3.2 kg. In the TX600, Hartke engineers combine proven tube technology with a modern Class D power amplifier to create a powerful sound monster that remains compact and lightweight despite its 600 watt output power. The 12AX7 preamplifier promises a warm, dynamic sound character, which can be increased to rock overdrive with increasing gain. A 3-band tone control is available for adjusting the sound, which semi-parametrically designed mids have a decisive influence on the tone shaping. 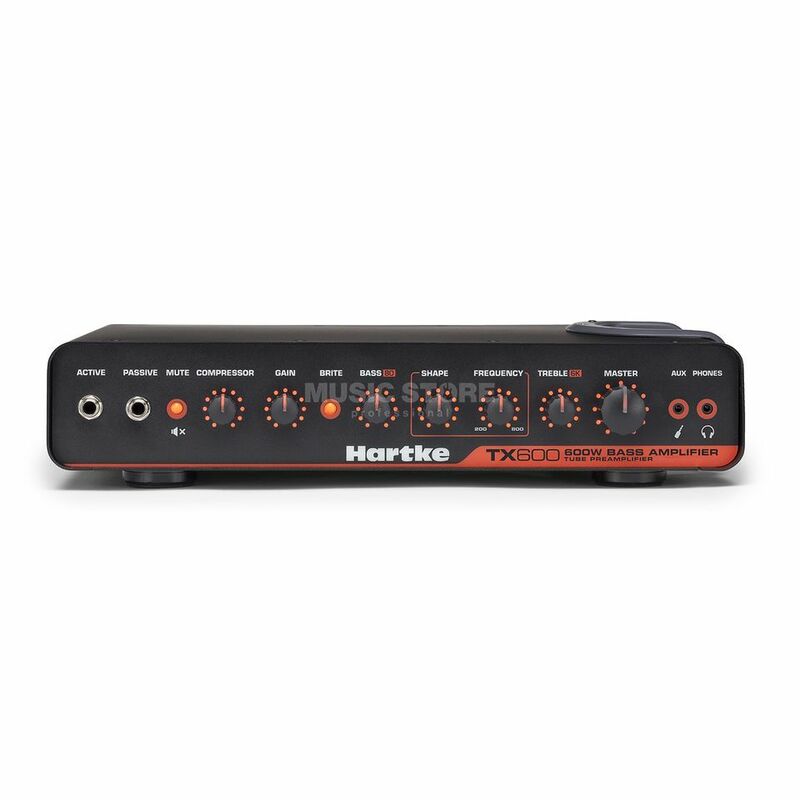 In addition, the sound can be enhanced with the integrated compressor of the Hartke TX600. A balanced XLR output with ground lift is provided for easy removal of the top on stage or in the studio. Speaker cabinets are connected to the Hartke TX600 via a SpeakOn or a jack socket. The balanced line output helps to remove the TX600, while the power is safely transmitted to the speaker via the SpeakOn jack.